Great pair of Goding Vintage Boots. 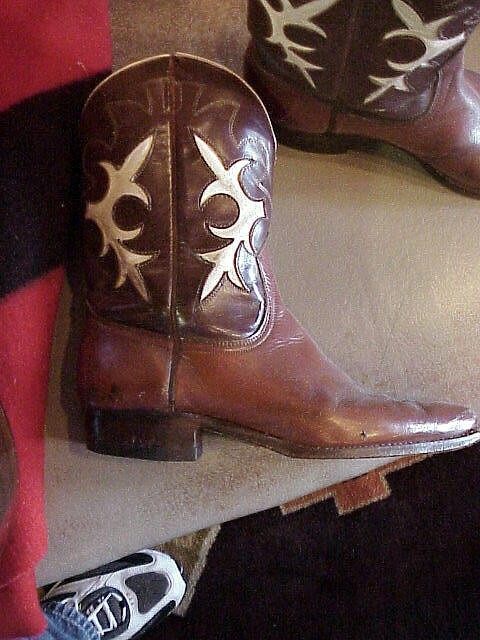 Size 7 might be smaller if cowboy boot it could be a size 7. Both the cowboy and cowgirl boots match. Not sure of size. Most boots of this era are gotten as a collectible. Some do wear them when they can. Great pair of Goding Vintage Boots. Size 7 might be smaller if cowboy boot it could be a size 7. Both the cowboy and cowgirl boots match. Not sure of size. Most boots of this era are gotten as a collectible. Some do wear them when they can. Please email cowboyron@cowboycabin.com with questions or call 406 270-2842.